A supersonic anti-ship cruise missile launched by the Taiwanese navy flew 46 miles toward China on July 1 before destroying a Taiwanese fishing vessel and killing its captain. The incident — by all accounts an accident — took place on July 1, the 95th anniversary of the founding of the Chinese Communist Party, and comes at a point of high tension between the two governments. The error took place during a routine system inspection, Taiwanese authorities say. The Hsiung Feng III class missile penetrated the fishing boat in Taiwan-controlled Penghu, a small group of islands in the Taiwan Strait. The captain died after sustaining serious head injuries, while three others were injured. Huang Ming-chuan, son of the captain, was suddenly awoken and got on the radio calling for help. Once the crew dealt with the flames in the cabin, they found that the captain had already succumbed to his injuries. The missile did not explode. Vice Admiral Mei Chia-shu, the Taiwanese navy’s chief of staff, stated in a press conference on July 1 that there was no political meaning behind the accident. He said that a negligent sergeant failed to follow operating procedures. 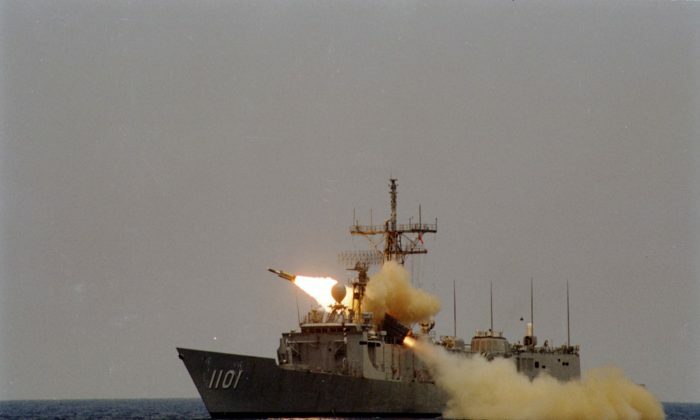 Hsiung Feng III, an advanced supersonic anti-warship missile, has been known as an “aircraft carrier killer” due to its ability to piece armor. The waters the missile landed in are a route for tour cruises to an island in Penghu. The Nationalist legislator Johnny Chiang said the accident was “ridiculous.” The army has “not only got a screw loose, but they’ve lost all their sense” he told UDN. He called on the personnel in charge to take responsibility for the accident. The navy says that seven personnel have been disciplined, including a commanding officer. The Mainland Affairs Council, Taiwan’s body for liaising with China, issued a statement reiterating the importance of communication. “The government has not changed its resolution to safeguard the peace and security of Taiwan and surrounding areas,” it said. The unusual mistake could not have come at a more sensitive moment. Beijing and Taipei are currently already locked in a dispute about whether Taiwan’s first female president, Tsai Ing-wen, will or will not acknowledge the so-called “1992 Consensus,” a formulation of relations between the two governments which says that there is only one China, to which side is entitled its own definition. Chinese authorities recently announced that they had severed diplomatic relations with Taiwan over this dispute.